Even if you don't travel often, there are still plenty of ways to earn Delta miles. One of the best ways to do that is through Delta's SkyMiles Dining program. The majority of households in the US eat out once a week, if not more. Since you'll probably find yourself in a restaurant at least once this week, make sure you're earning SkyMiles for it. To be clear, this doesn't mean you start eating out more than usual. Remember the travel hacking mantra: "I do not need to spend more to travel more." Use the Delta SkyMiles Dining Program to get rewards for the meals you're already buying out. Read on for our breakdown of the program. Signing up for the SkyMiles Dining program is simple. Get a SkyMiles account. 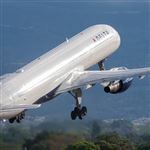 You do need a Delta SkyMiles account first. This is where your miles are stored. If you don't have one yet, you can easily sign up for free on Delta's website. Sign up for the dining program. Go to the SkyMiles Dining website. From there, you can click the "Sign Up" button. 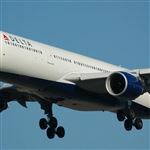 Sign up using your Delta SkyMiles information. Link a credit card. Once you've done that, you will need to link a credit card to your account. Don't worry, you won't be charged for anything—signing up is 100% free. We will talk about which credit cards to consider using a bit later on. Pay with the credit card. When you pay for a meal with that linked credit card, you'll earn bonus miles based on the total cost of your meal. The miles are automatically credited to your SkyMiles account. That's it. No scanning receipts. No registering the visits in an app. If you're aiming for Medallion status with Delta, you should know that miles earned through the dining program don't qualify. Most of the time, Delta offers a sign-up bonus as an incentive for participating in the program. An example might be earning 3,000 bonus points by eating three $30 meals at participating restaurants in the first 30 days of opening your account. These bonuses make your miles earning even sweeter. Member: earn 1 mile per 2 dollars spent. Online Member: earn 3 miles per dollar spent. To reach this level, you just need to opt into SkyMiles Dining emails. VIP Member: earn 5 miles per dollar spent. To reach this level, you need to opt into emails and complete 11 qualified restaurant visits in a calendar year. It's a no-brainer to opt into emails and earn a lot more miles than just a basic member. In order to receive your miles, no matter your membership level, just pay with the registered card. The miles should appear in your SkyMiles Dining account within 5 days. They will show up in your Delta account 6-8 weeks after your visit. Most airline dining programs operate the exact same way. You may therefore ask yourself, "Why don't I register the same card with all of them? Then when I pay for a meal, I'll earn points towards all airlines." Unfortunately, it doesn't work like that. Most dining programs are run by Rewards Network. Rewards Network will know if you try to register the same card with multiple programs, and prohibits you from double dipping. If you are signing up for multiple programs, know that you'll need to use separate cards for each of them. You could use whatever card you have in your wallet for SkyMiles Dining. A better idea, however, would be to register a card that earns you extra miles on top of what you will get from dining out. Consider using a Delta credit card to earn miles. Better yet, link a card that rewards you with bonus points for dining purchases. Finding restaurants is also an easy process. Simply type in your zip code or city at the top of the SkyMiles Dining screen and it will generate a list of delicious options. There are over 10,000 participating restaurants and bars across the US. Narrow down your search by specifying a search radius, type of food, or price range. A quick search of Fort Lauderdale, FL, brought up over 280 restaurants. You may run into restaurants that have blackout dates. Meals eaten on those days will not earn any points with the SkyMiles Dining program. Be sure to check the restaurant availability on the right side of the search screen or on the individual restaurant page. In our opinion, airline dining programs are a great way to earn miles while discovering new restaurants. The Delta SkyMiles Dining program is very generous. With the 5X miles multiplier, you can start to rack up SkyMiles quickly. Add in a credit card that also rewards dining and you'll be able to double-dip on the rewards. Now the only thing left to do is figure out how to use all those miles. Bon appétit! Leave a comment about Delta SkyMiles Dining: How to Earn More Miles?